The design seniors wrapped up the fourth out of eight weeks evaluating mockups and revisions with representatives of GKDI and CSULB SAE. 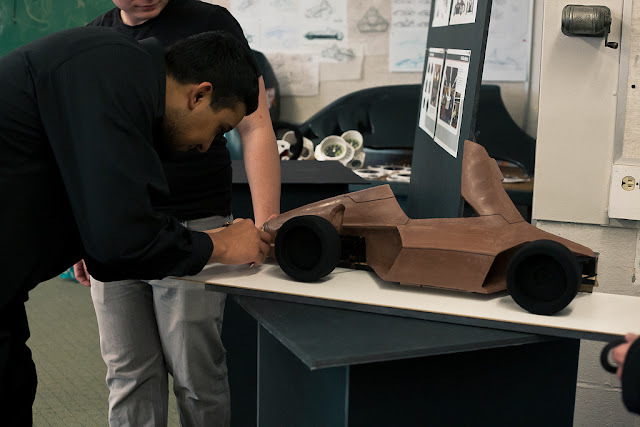 The senior class is just about ready to work on full scale fabrications of the Baja and Formula race bodies, with slight modifications to be made from updated engineering specs. 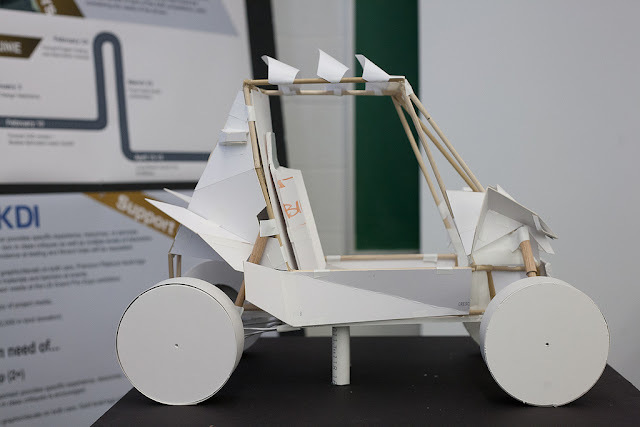 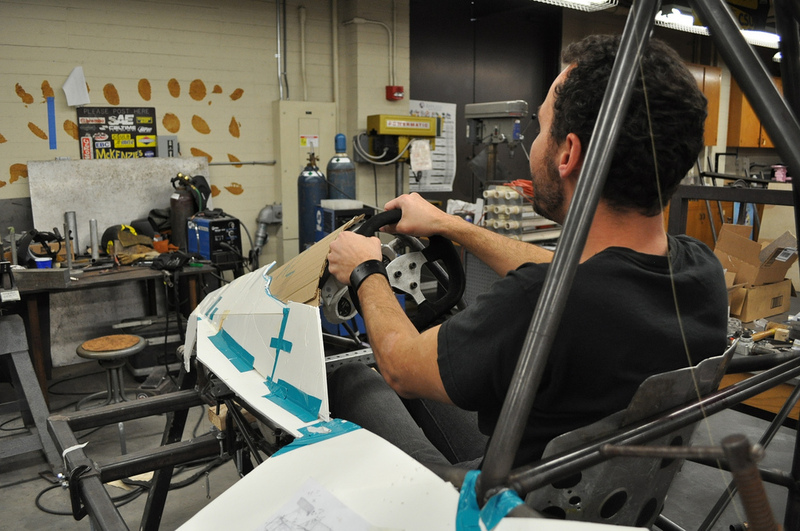 The Senior Design Students focused this week on, among other things, the choice of materials for fabricating both the Baja and Formula race bodies. 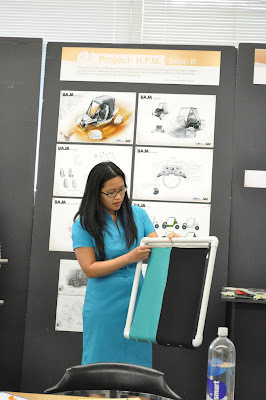 While the formula designers focus on fiberglass fabricating methods, the designers in Team Baja are exploring materials ranging from welded aluminum panels, to vacuum formed plastic panels, to fabrics for use on the Baja canopy. 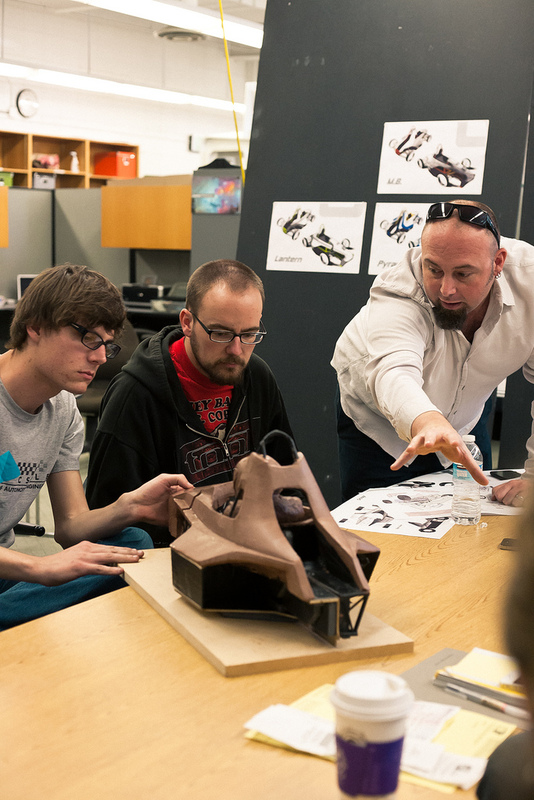 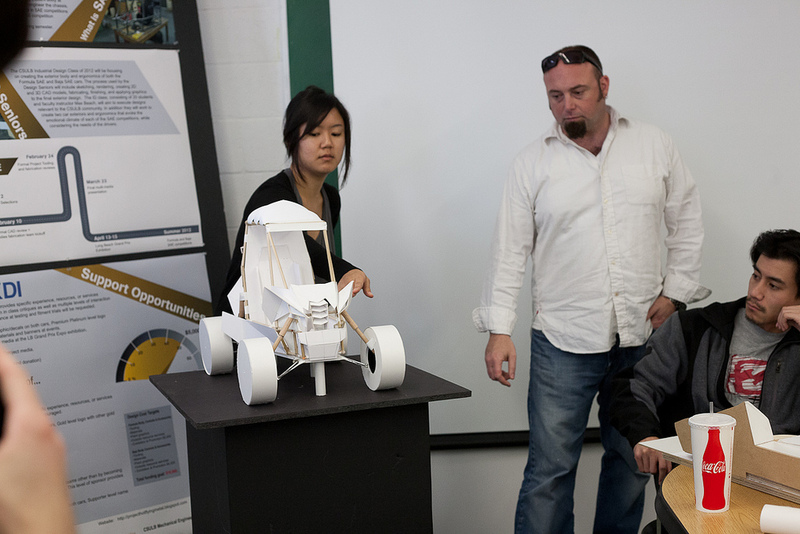 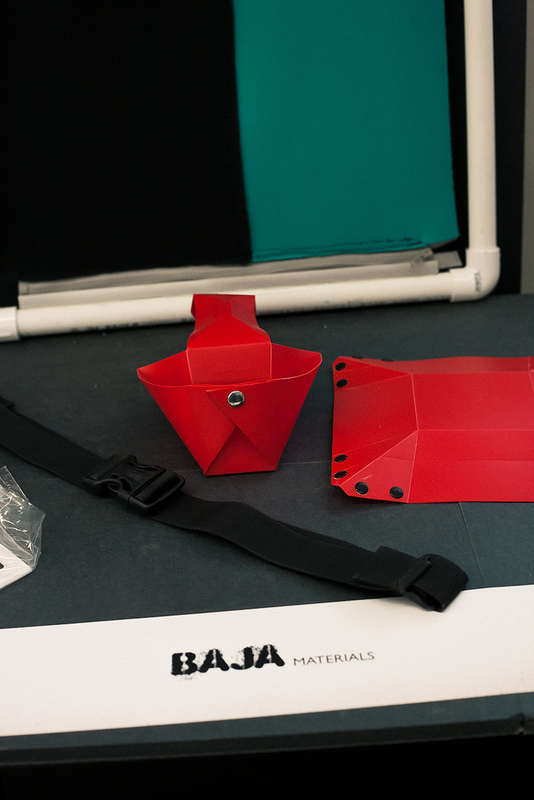 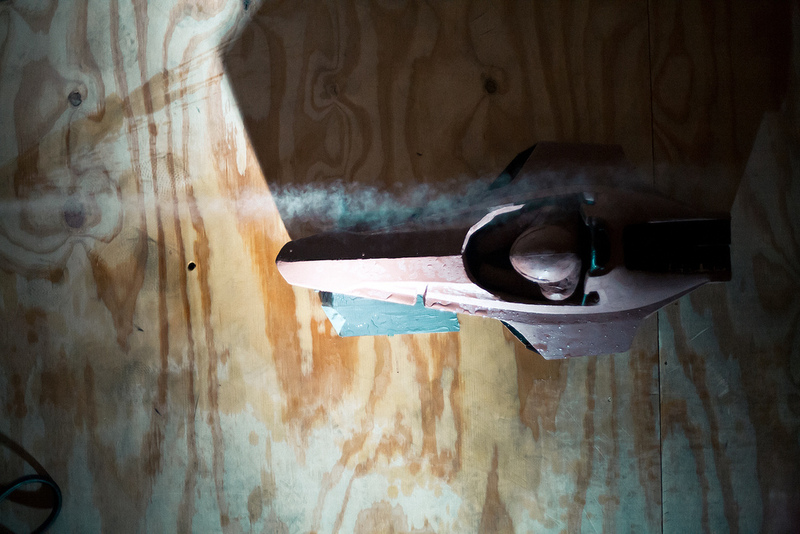 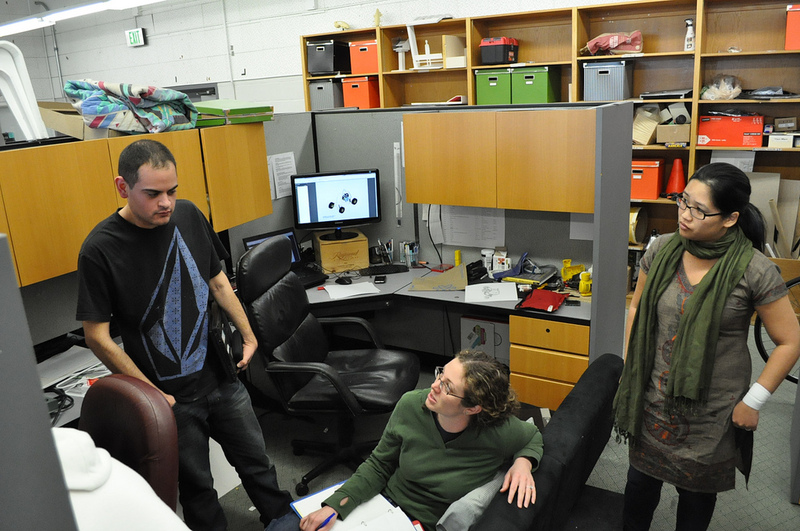 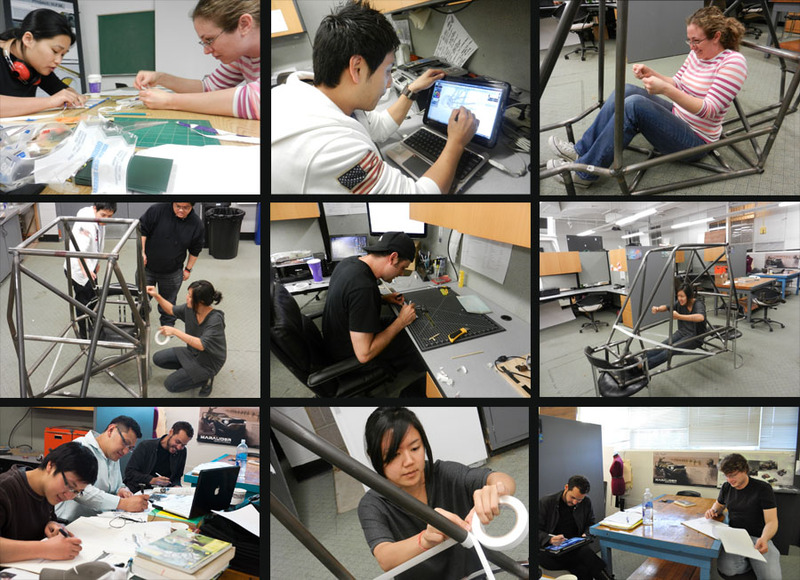 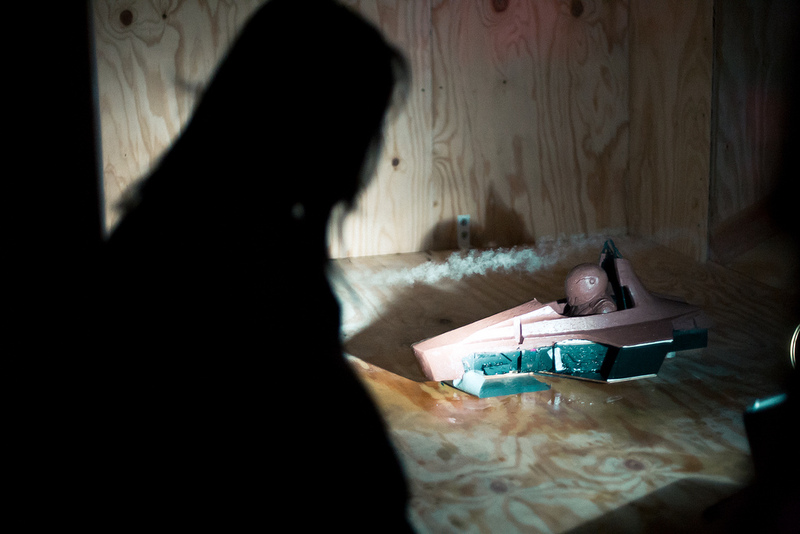 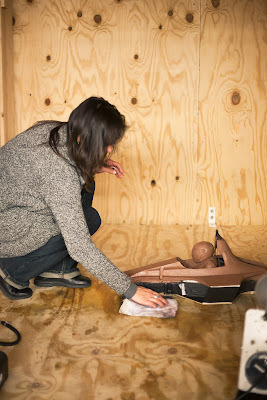 Kat Morse and Eric Schmidt (bottom from left) demonstrating different materials for the Baja racer's removable canopy. 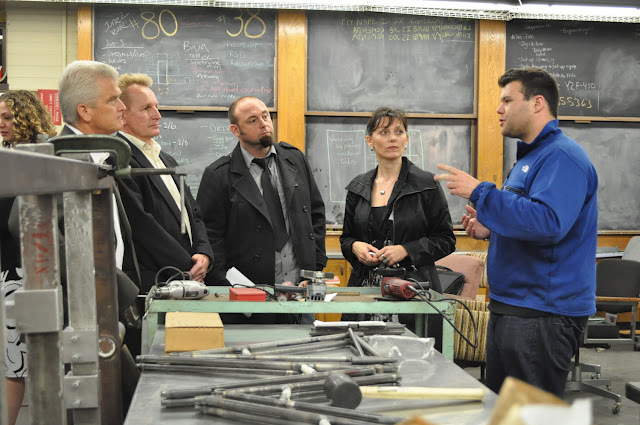 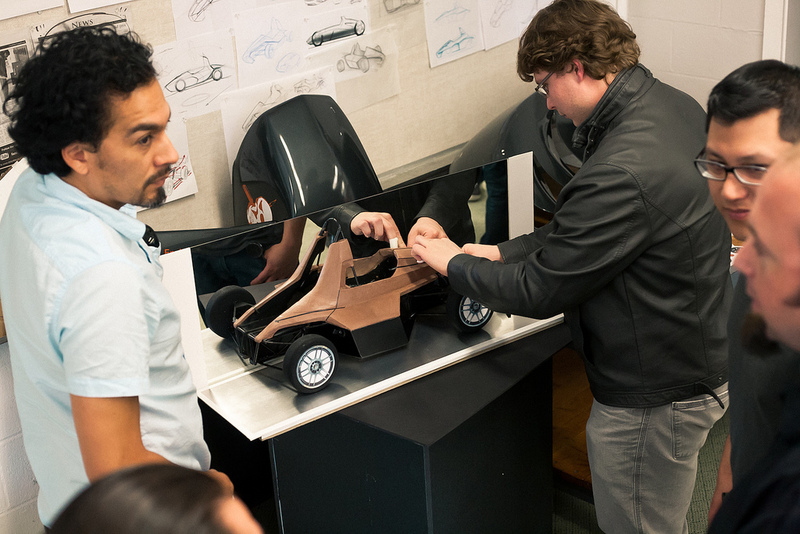 Tim Mraz (bottom left) giving a fiberglass demo to Formula car designers. 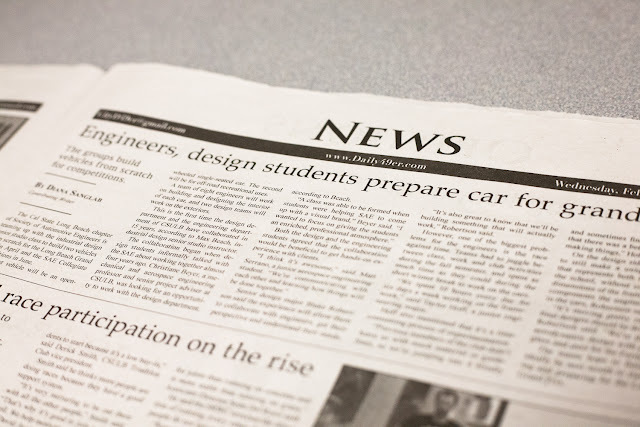 Check out what was in the Daily 49er yesterday! 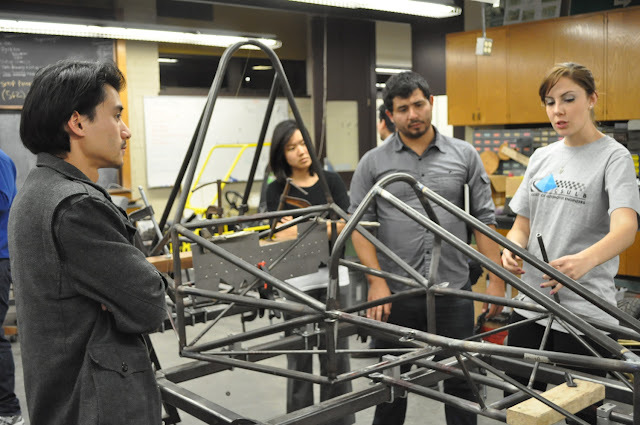 Read the article here: Engineers, design students prepare car for grand prix. 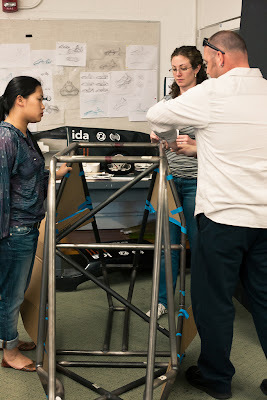 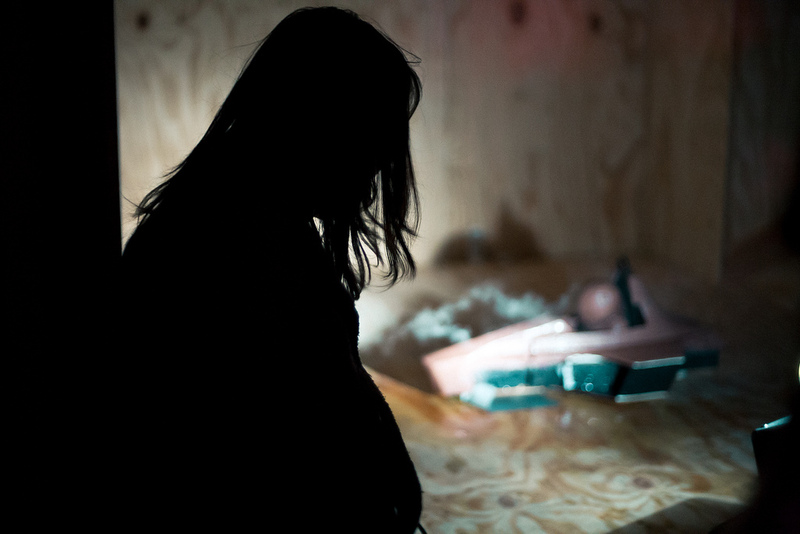 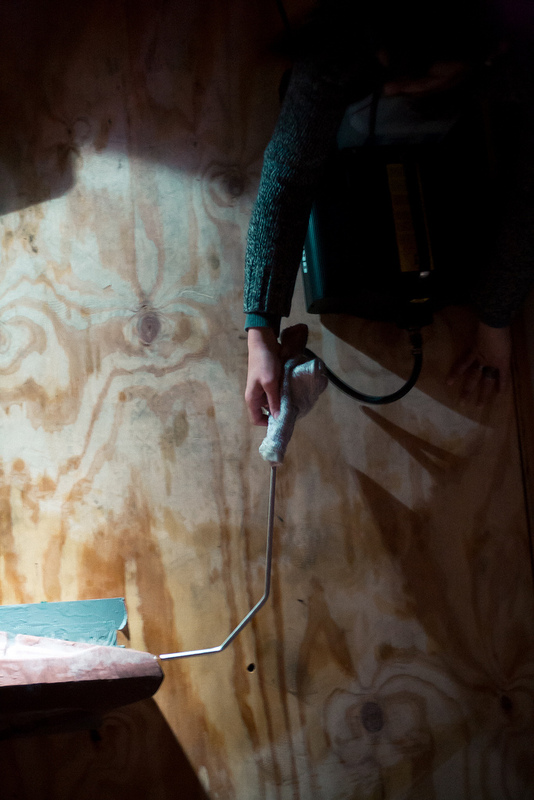 A little of what we have been up to this week. 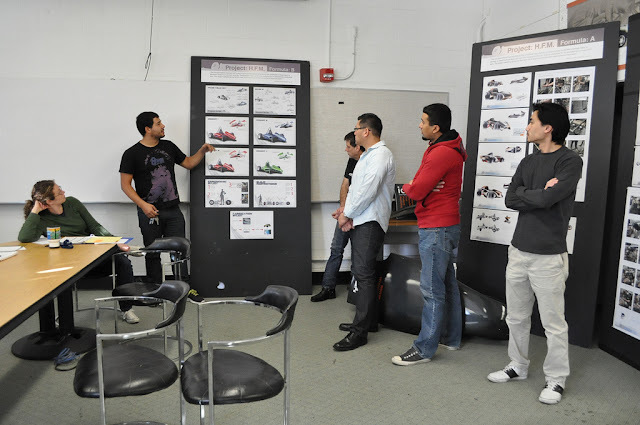 On the Friday morning following the Project: HFM mixer, the senior ID students met in order to discuss and refine current design concepts. Both the Formula and Baja design groups presented innovative and stylish concepts, validating the progress that this project is making overall. 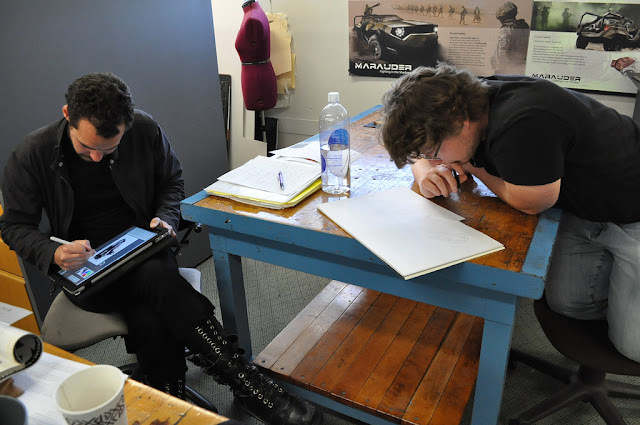 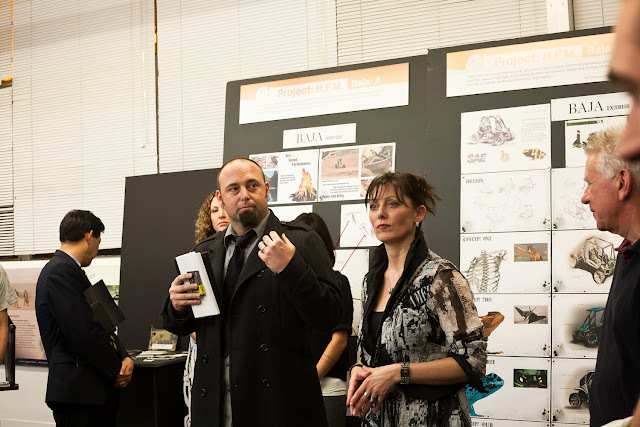 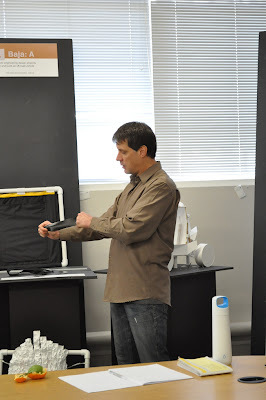 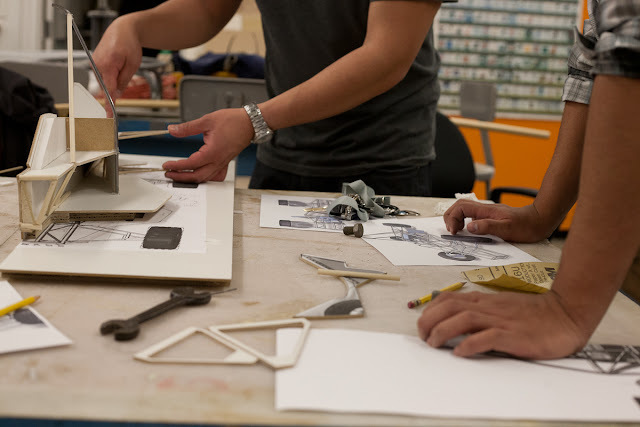 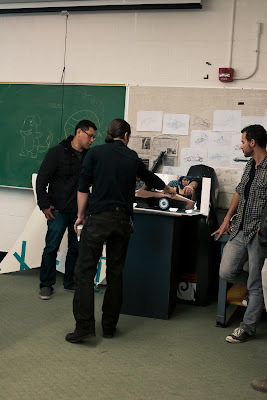 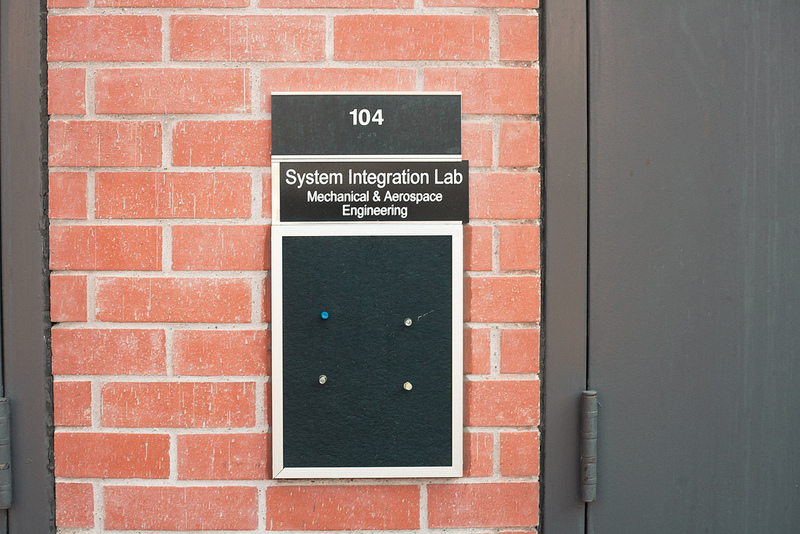 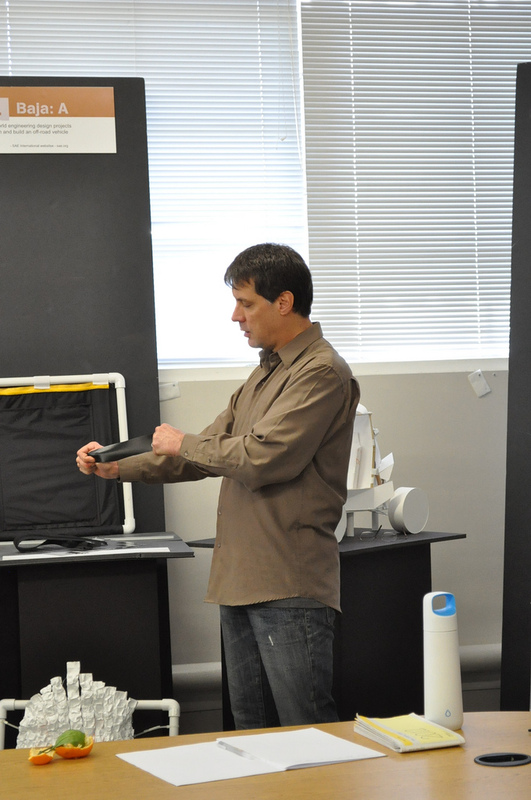 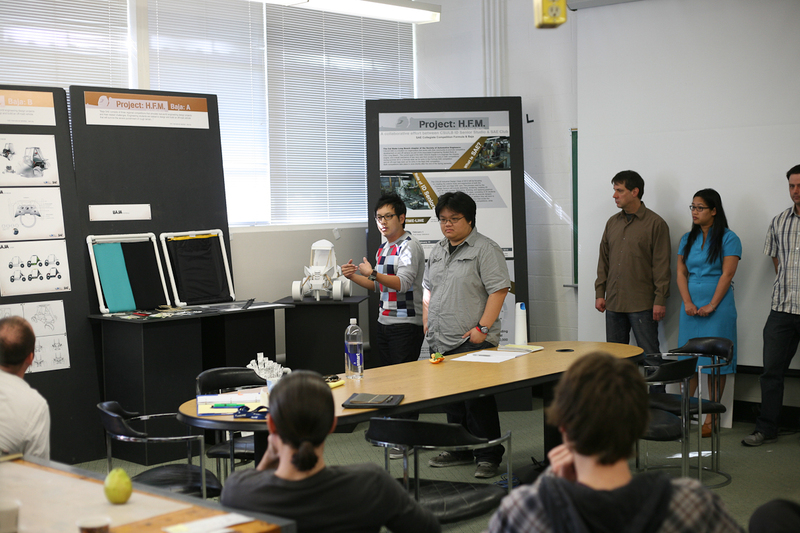 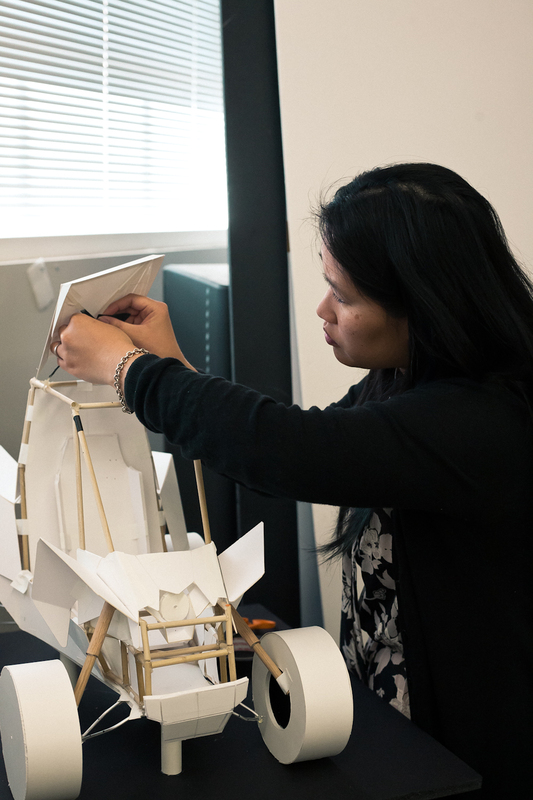 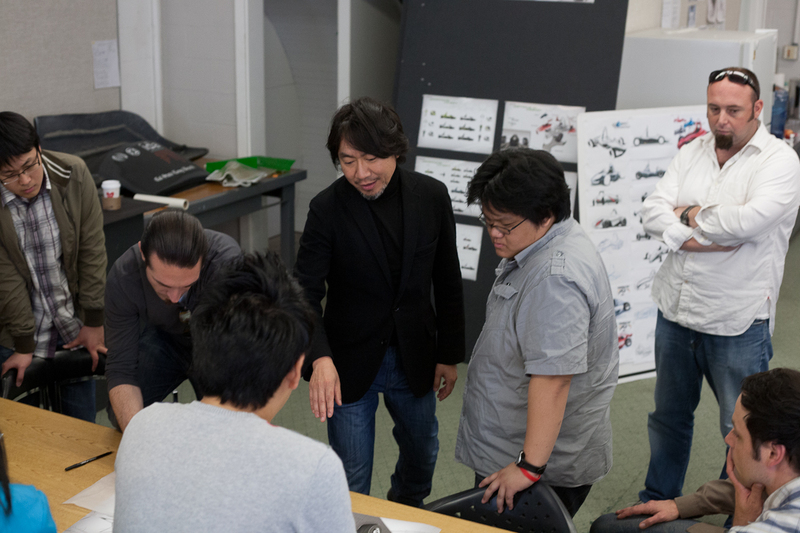 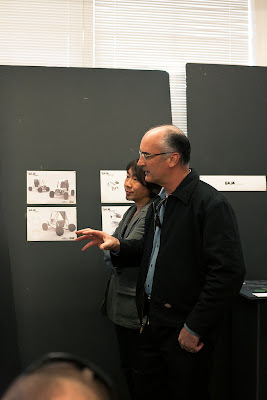 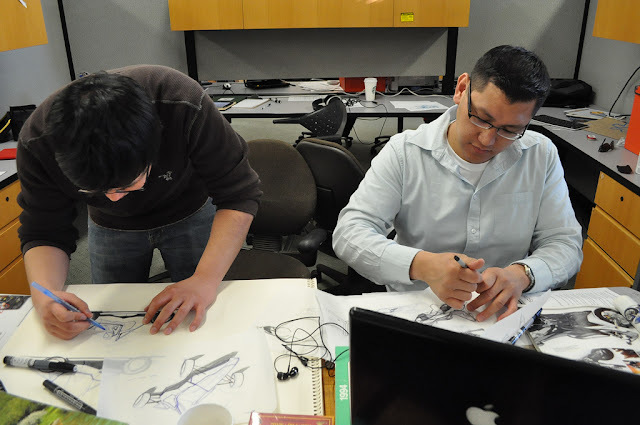 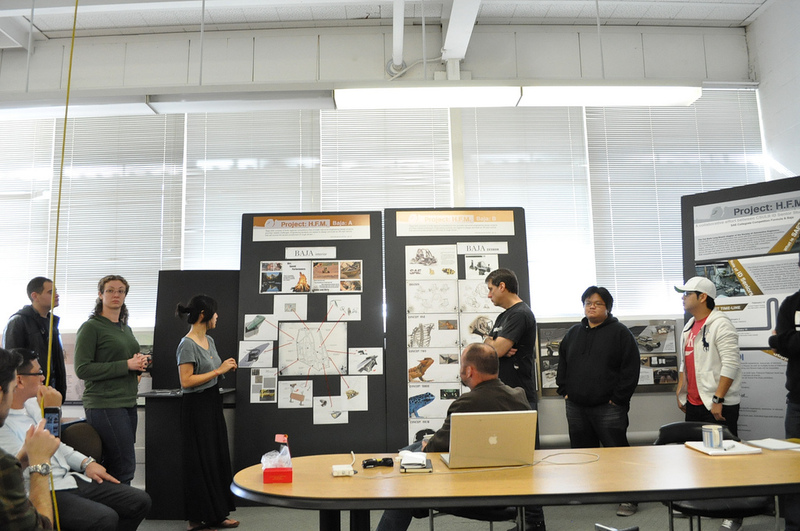 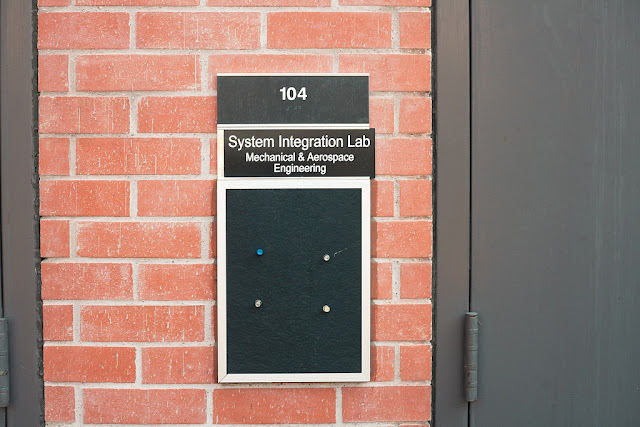 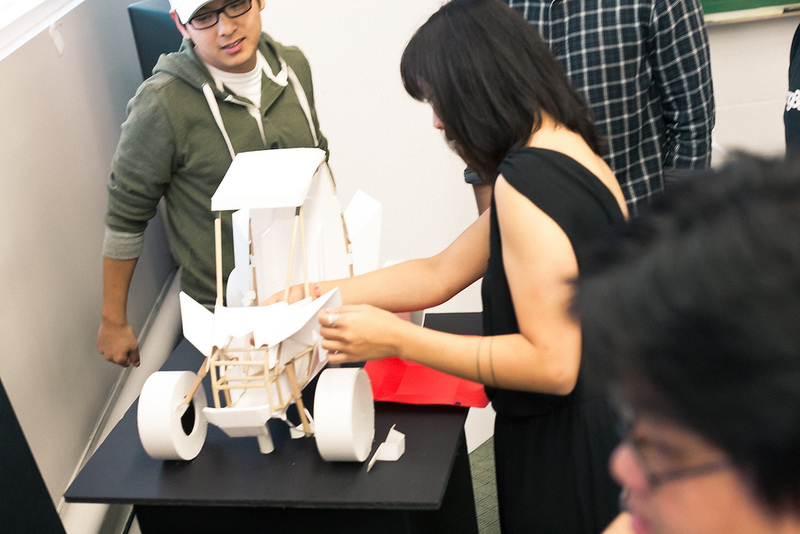 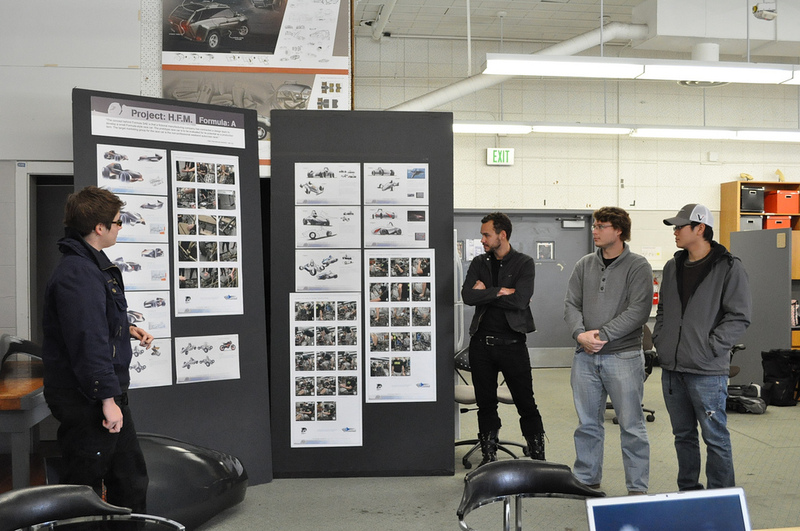 After presentations, the senior ID class and faculty highlighted designs for refinement. 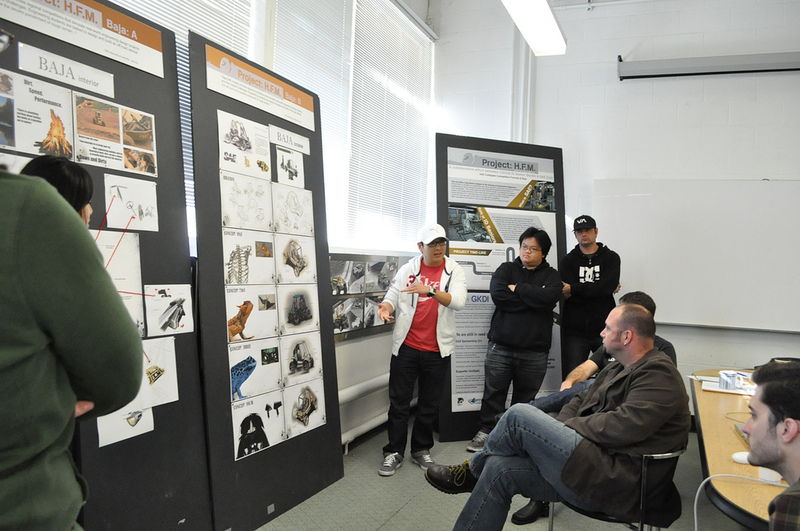 Based on our selections, each group has a more focused direction for agreeing on a final design. 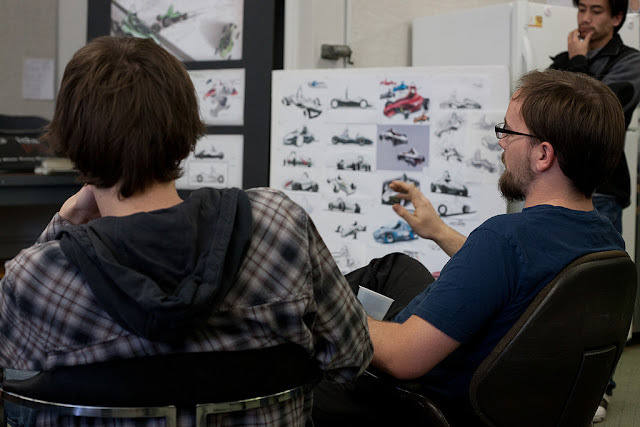 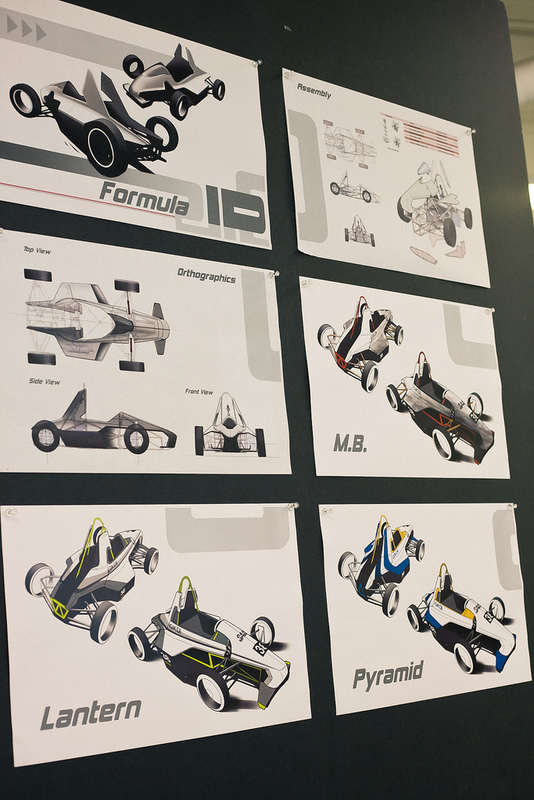 Expect to see finalized designs for the Baja and Formula racer within the next couple of days! This past Thursday, Project HFM held a mixer to get the word out on this exciting collaboration. 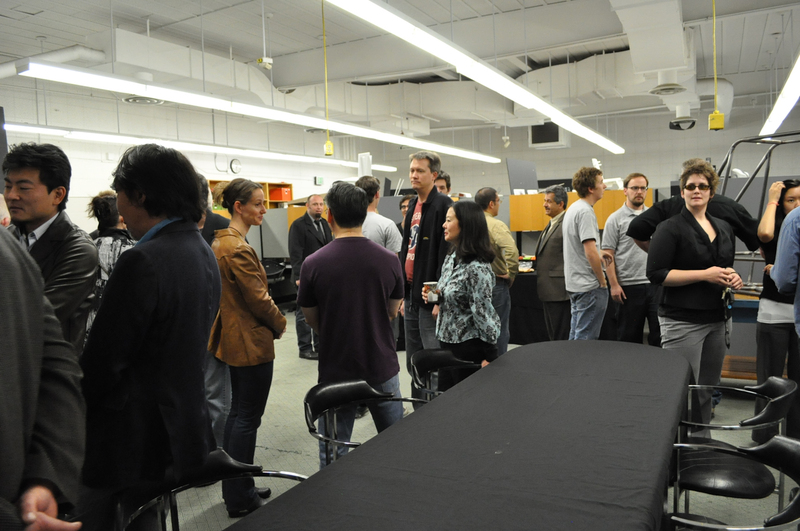 The evening was a great success with over 40 faculty and professionals joining us and showing their enthusiasm. 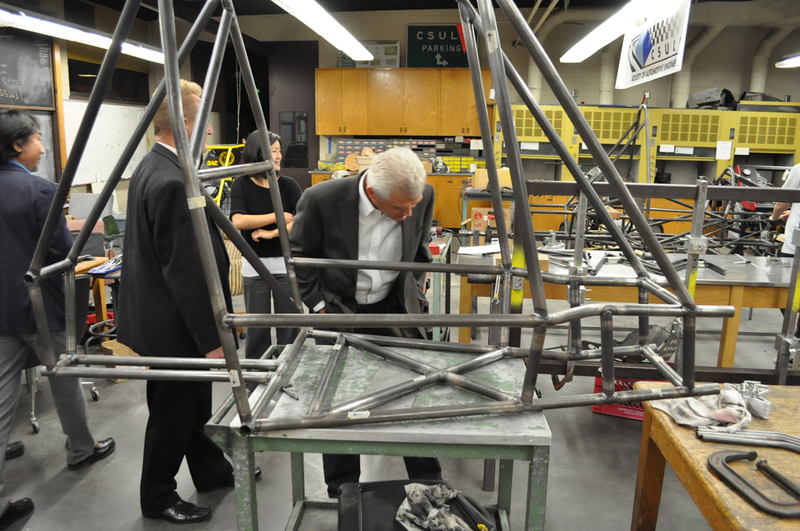 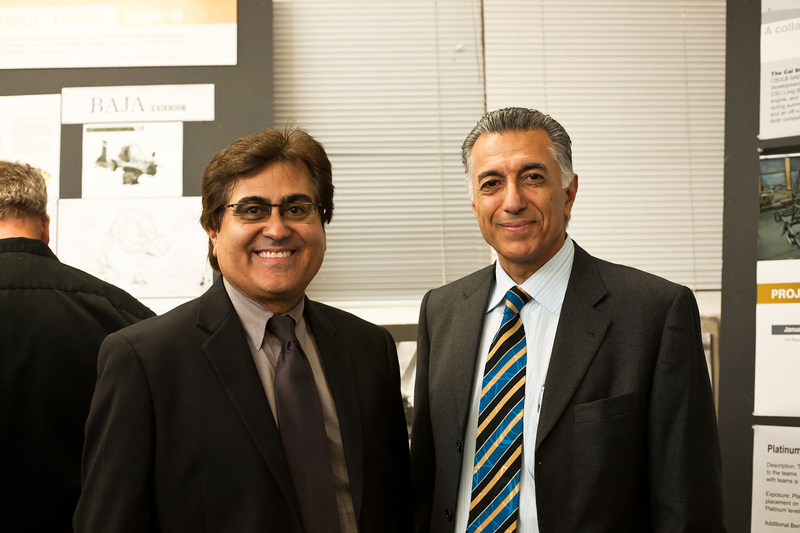 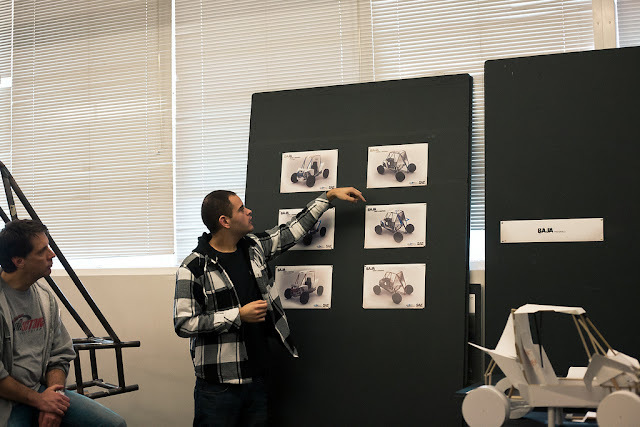 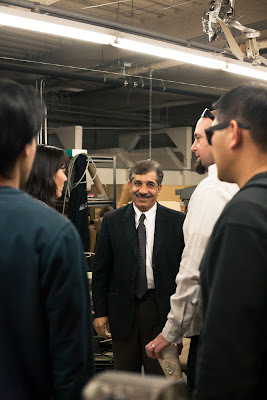 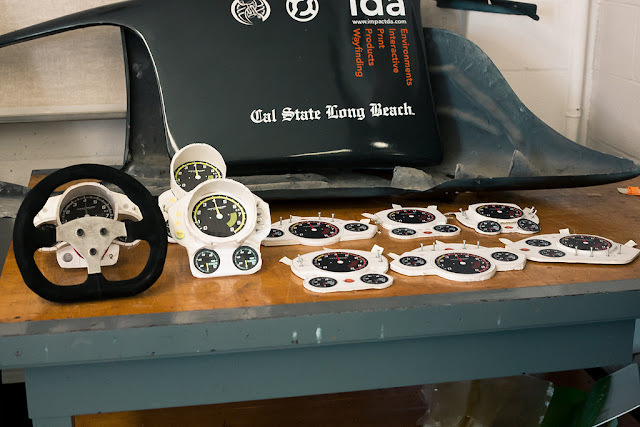 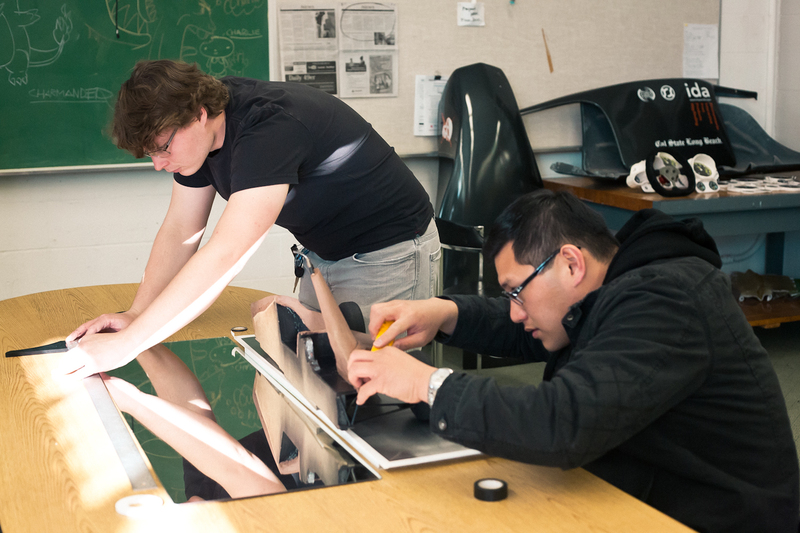 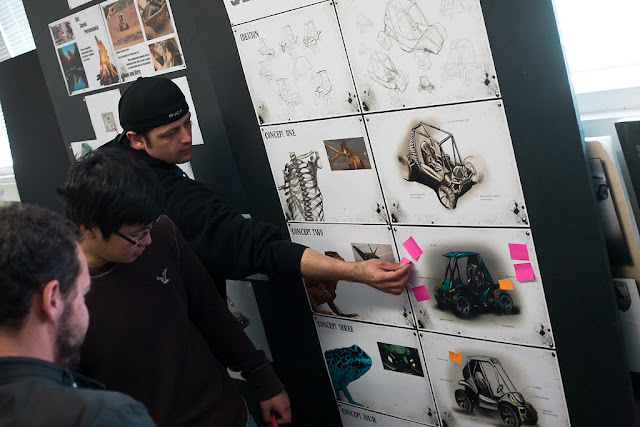 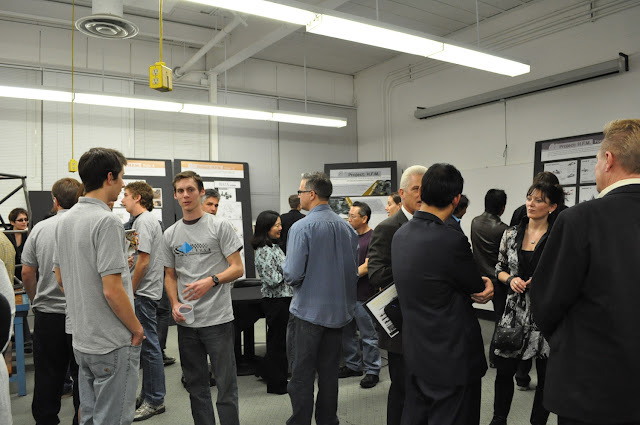 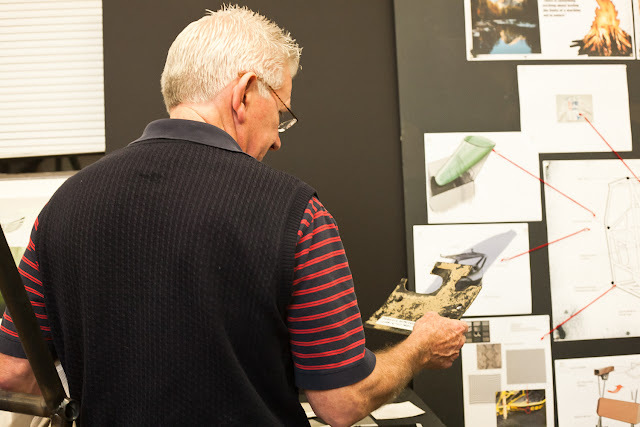 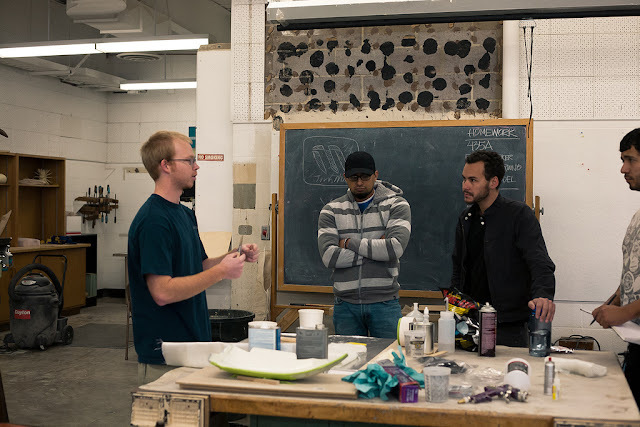 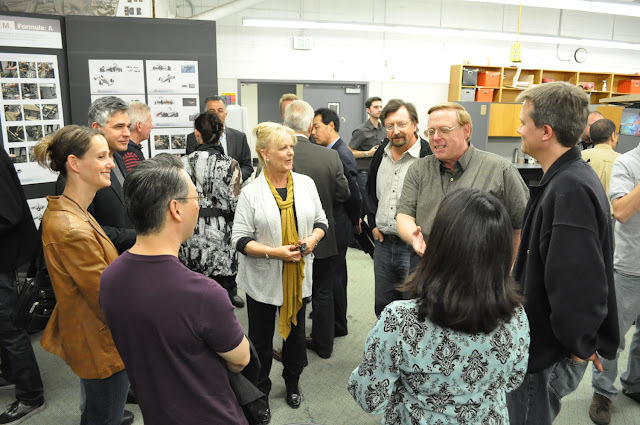 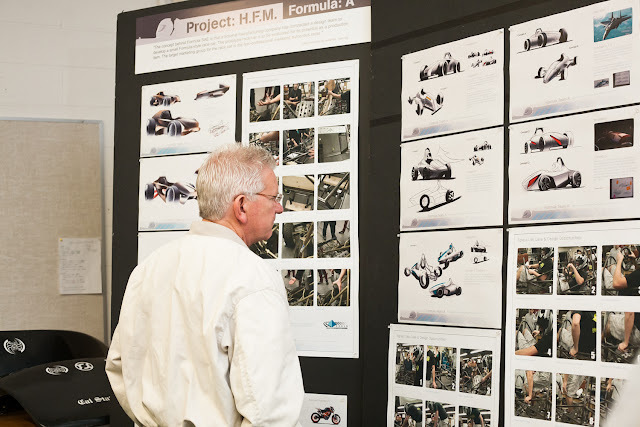 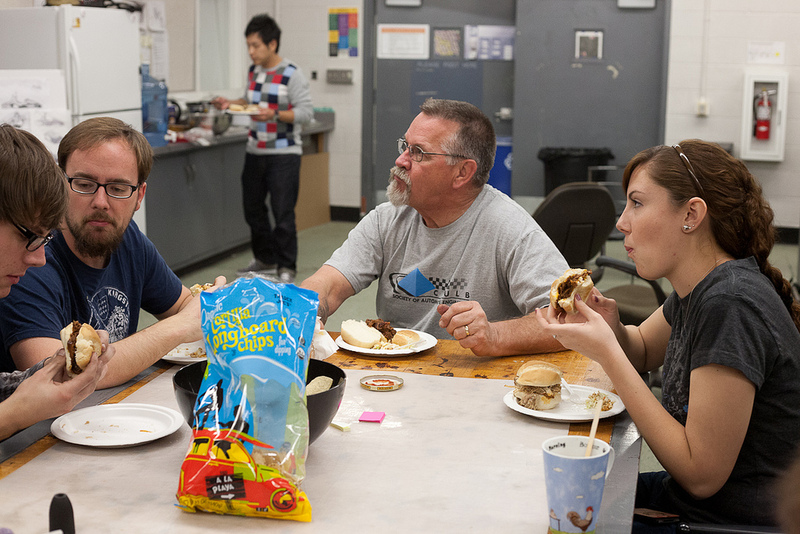 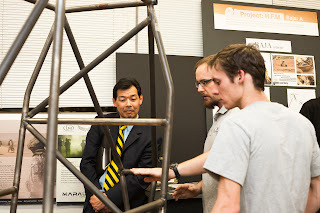 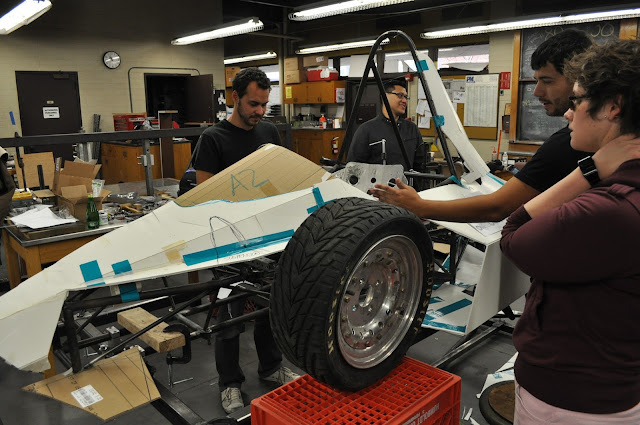 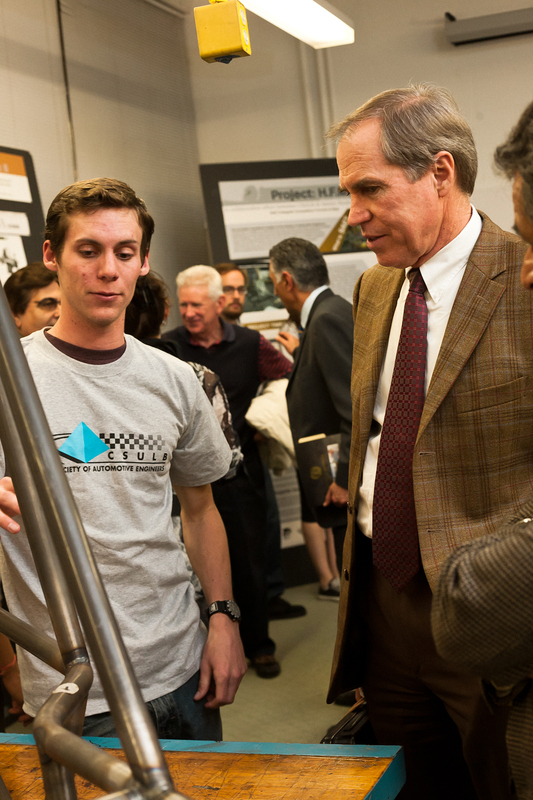 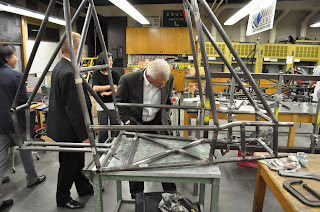 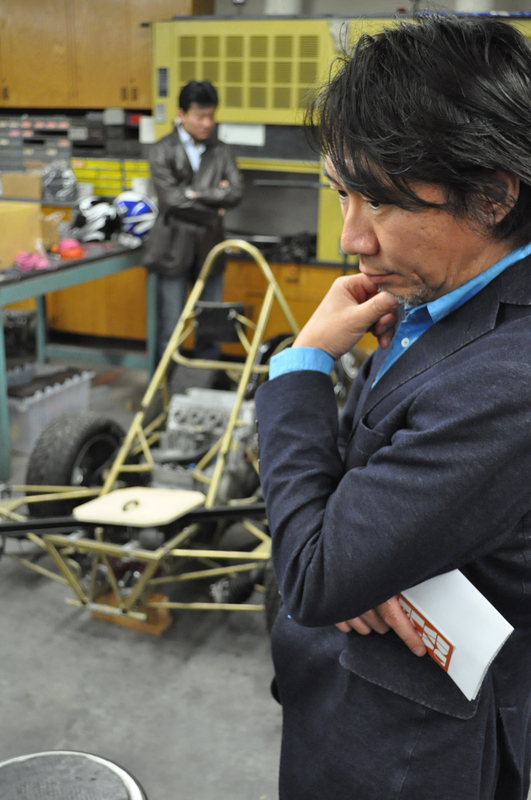 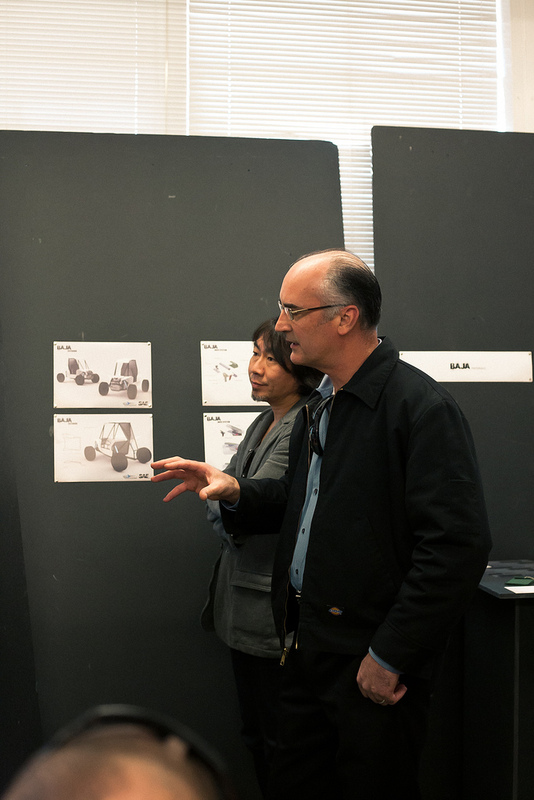 As people walked around the senior studio at CSULB, they were able to view the Baja chassis, and a week's worth of work in moving toward a final design concept for both Baja and Formula cars. 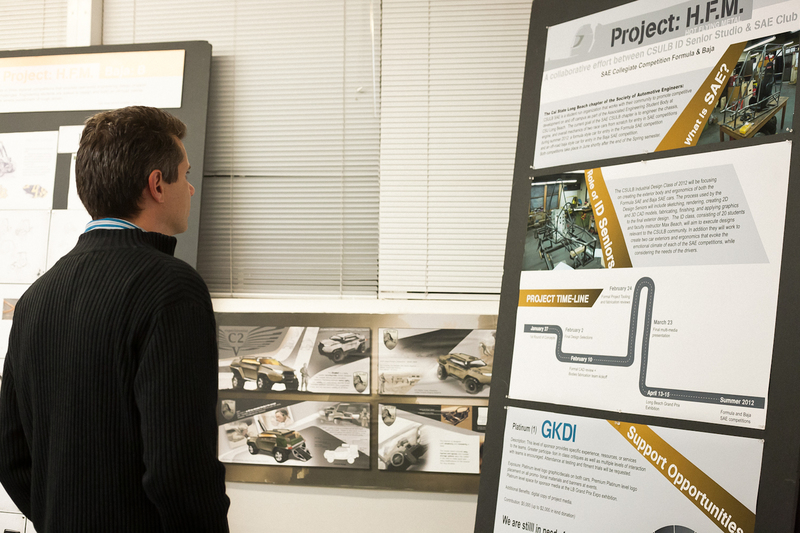 After the mixer, our platinum sponsor GKDI spoke at the Duncan Anderson Lecture series, just down the hall in the design gallery. 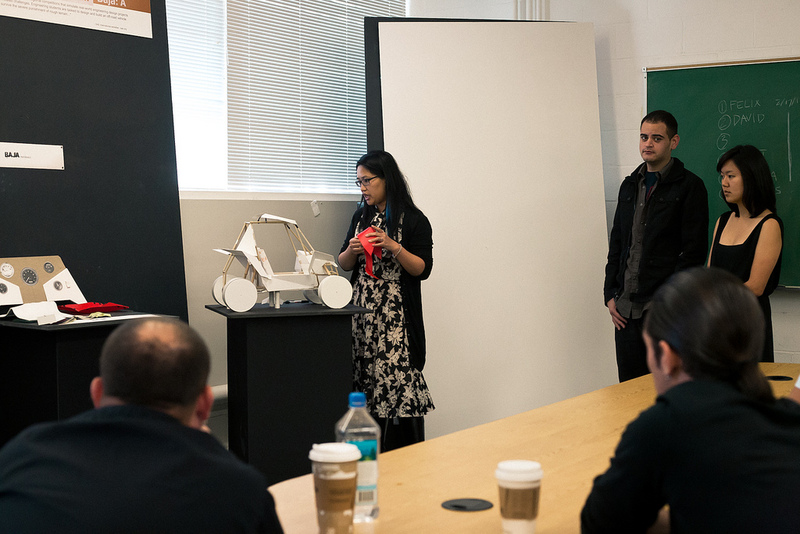 They blew everyone away with their amazing work and the motorcycles they brought to display in the gallery (a full-sized completely realistic prototype with some parts made of foam?! 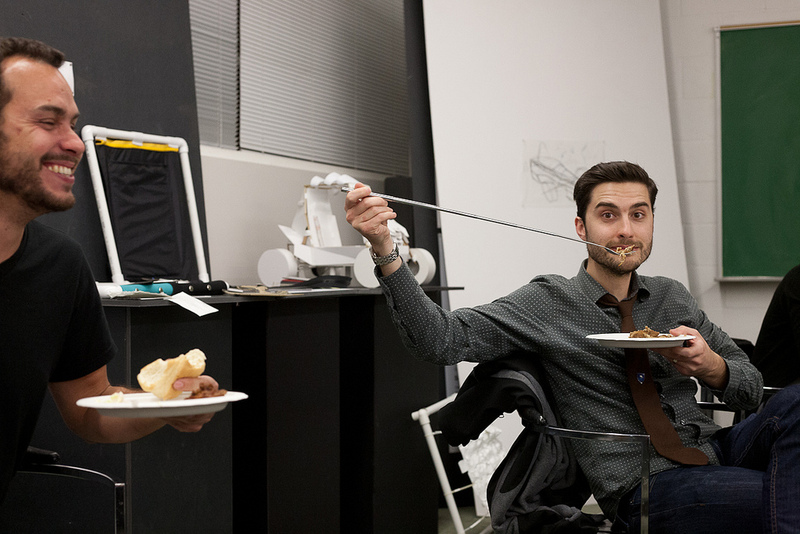 You can't beat that kind of skill). Those who stuck around after the presentation, headed over to the Mechanical Engineering shop to check out the in-progress chassis. All-in-all it was a fun and eventful evening.